The Concert Band of Cobourg is proud to have its Deputy Director of Music Jill Baker as Orchestra Director for the upcoming VOS Theatre production of Meredith Wilson’s The Music Man. The Music Man is Meredith Wilson’s six-time Tony award winning musical comedy that has been entertaining audiences since 1957 and is a family friendly story to be shared with every generation. The Music Man follows fast-talking travelling salesman Harold Hill as he cons the people of River City, Iowa, into buying instruments and uniforms for a boy’s band that he vows to organize – this despite the fact that he doesn’t know a trombone from a treble clef. Featuring the area’s finest performers and a live orchestra, you’ll leave humming favourites like 76 Trombones. Don’t wait until the show is sold out – reserve today. Tickets are on sale now at www.vostheatre.com or call the Box office 905-372-2210. The Cobourg Big Band Festival Concert Series at Victoria Hall continues in February with our own big band, The Royals. Tanya Wills will join our group, providing wonderful vocal accompaniment. Concert is Saturday, February 16th at 8 pm. Tickets are $32.50 + HST + admin fee through the Victoria Hall box office. We are very please and excited to announce the release of our latest recording “Pride of Performance”. The release took place on Tuesday July 4th, 2017 at our first concert of the 2017 Summer Season in Victoria Park Bandshell, Cobourg. In 2017, Canada celebrated its 150th birthday, and The Concert Band of Cobourg celebrated 175 years of bringing music to the Town of Cobourg. The Band is a rich part of our everyday life and we chose this opportunity to honour the many great musicians, composers, and arrangers who live among us and who contribute so much to our community. Every song on this special CD represents either an original arrangement or an original musical creation from one of our talented local contributors. Each of them has made it possible for the Band to share our music and to feature many soloists from within our ranks. 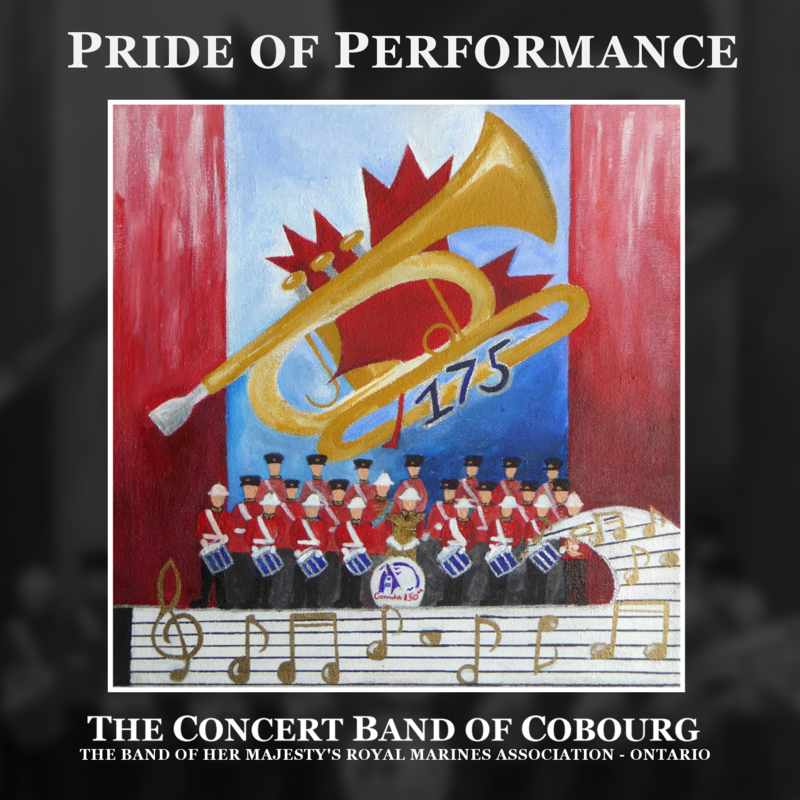 The Band motto is “Pride of Performance” and we hope you share the pride we all have in Cobourg and in the many skilled and generous people who make this such a special part of Canada. Thanks to Cobourg 2017 for their financial support and for helping to make this CD possible. CD’s will be available for purchase at a cost of $20.00 ea.